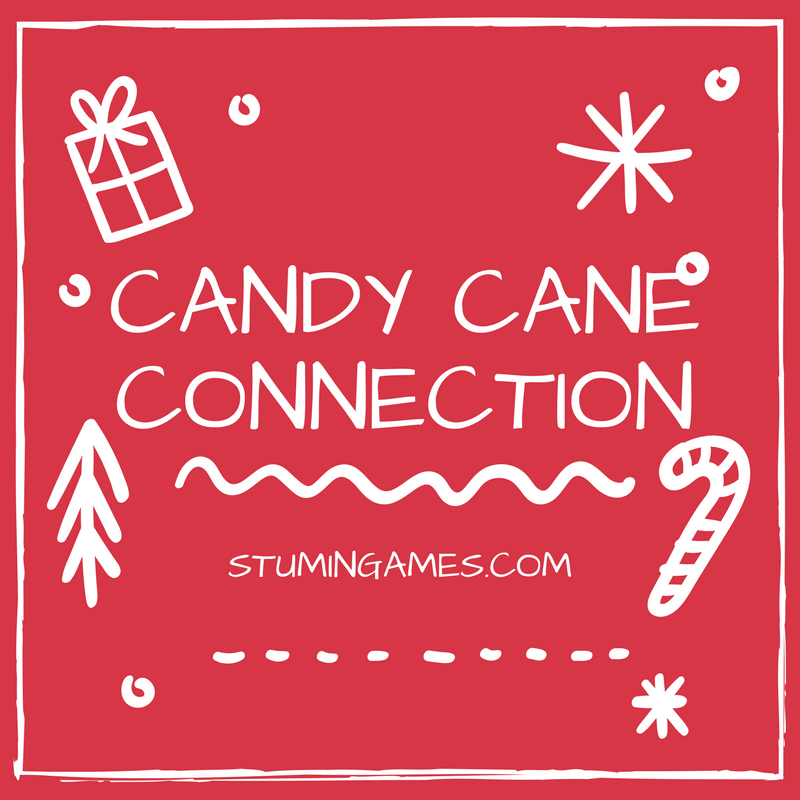 Candy Cane Connection is the game that combines finesse, speed and best yet, mini candy canes! Seriously, what’s better than one candy cane? How about 50 miniature ones! This game is a fantastic one to highlight teamwork and creativity. Each team is given a minimum of 50 miniature candy canes. You can unwrap them or leave them wrapped. If you choose to leave them wrapped, I recommend giving them each a bonus minute to unwrap them before the game begins. Once the mini candy canes are unwrapped, explain to each team that they are to see how many of those candy canes they can hook together in 60 seconds. The team with the most candy canes connected at the end of the 60 seconds is the winner! It sounds easy, but the candy canes will break if too much pressure is applied, so teams that can combine finesse and speed will win. Whoever has the most candy canes on their chain at the end of sixty seconds wins! Note: Some people were asking for a picture to clarify. Here is one sent in from Gloria Halfacre and her group. As you can see, they are connected together and we’ve seen off shoots on these as well. In 60 seconds, most groups will get 15 or so connected, but we’ve seen 30+! Let us know how many you get! 1. Play some fun Christmas music to enhance the atmosphere. 2. Check to make sure candy canes aren’t broken before handing out to teams. 3. Play the game up front or involve everyone. Either way, it’s a great win! 4. Take some pics and video to put on social media. Go live during the action to share the fun with friends. 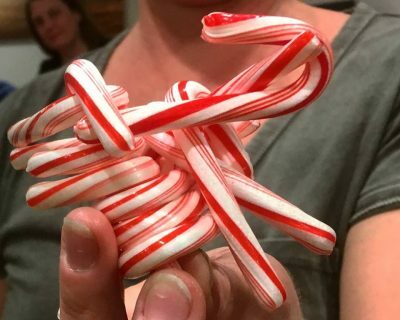 Not feeling very smart here, but how do you hook more than 2 candy canes together? They aren’t like barrel of monkeys where they have a hook on each end! Hi Mary, we apologize for the delay. We’ve included a picture from someone who recently played the game and rewrote some of the rules to better explain the game. We apologize for the confusion! Let us know how many candy canes you can get connected! Can you share a picture of this? I tried it tonight and it was a total flop. Not sure how to ‘hook’ these together (more than 2). Hi Brent, so sorry to hear. We’ve included a picture to help clarify. We hope that helps! This doesn’t make sense. How can you make a chain when the candy canes only have one hook? Once you hook two candy canes, that’s it. No more chain…. Can you post pictures? Hi Robby, we just posted a picture from a group that just played the game. I think it will help clear things up. Let us know if you play the game with your group. We’d love to hear from you!